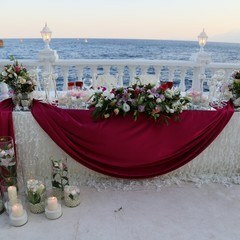 Your Dream Wedding in Turkey will be organized by a professional wedding planner in Antalya Turkey. Whatever you dream, we will make your dreams come true. 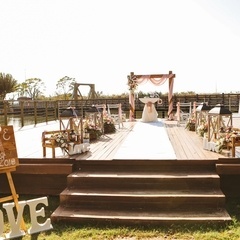 Your dream wedding will not just dream. 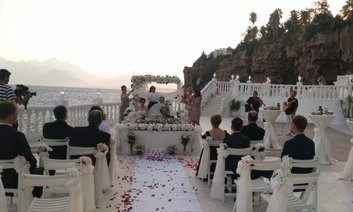 Our experienced wedding team will organize your dream wedding in Turkey with all you need such as professional decoration, civil wedding ceremony or symbolic wedding ceremony, wedding dinner reception, entertainment, live music, flowers as you desired. 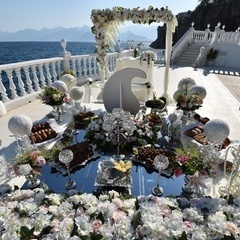 Also, you may choose your own venue where you would like to have your wedding in Turkey such as Beach Wedding, Yacht Weddings, Church Weddings, Underwater Weddings, Persian Wedding, Indian Shaadi etc. 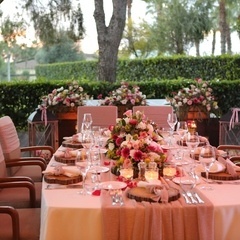 The Spice Hotel & Spa, which is decorated in Ottoman Style, is one of the most popular Hotels in Antalya / Belek We have prepared for brides, who would like to feel on this special wedding day like a Sultan, the Wedding Package 0111-A. 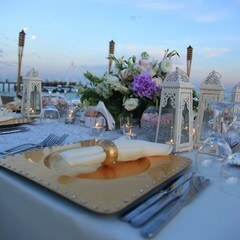 A Wedding Ceremony on the beautiful beach of the Spice Hotel & Spa while sunset and a delicious Wedding Dinner Reception in the evening in the Hotel’s Ballroom, which is decorated with amazing Ottoman elements. A Sultan Wedding under the dancing glow of crystal chandeliers. We are sure that wedding couples will like the Spice Hotel & Spa, which resembles a Palace and the Wedding Package 0111-A with great pleasure. 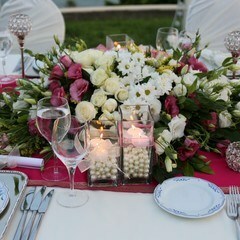 Each smallest decorative detail has been planned in this Wedding Package. 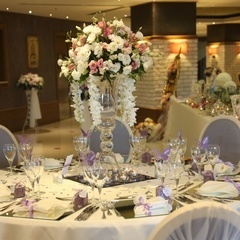 This Wedding Package is very special through the historic atmosphere of the Space and the modern Decoration! 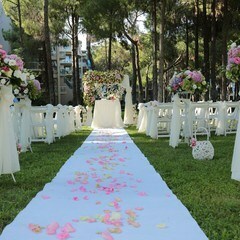 We, as Wedding City Antalya Organization are very pleased, to offer you a very special Hotel and a special Wedding Package.